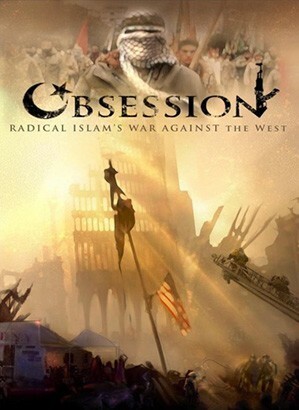 The recent distribution of some 28 million copies in the United States of the 2005 documentary Obsession has stirred heated debate about its contents. One lightning rod for criticism concerns my on-screen statement that "10 to 15 percent of Muslims worldwide support militant Islam." The Muslim Public Affairs Council declared this estimate both "utterly unsubstantiated" and "completely without evidence." Masoud Kheirabadi, a professor at Portland State University and author of children's books about Islam, informed the Oregonian newspaper that there's no basis for my estimate. Daniel Ruth, writing in the Tampa Tribune, asked dubiously how I arrived at this number. "Did he take a poll? That would be enlightening! What does ‘support' for radical Islam mean? Pipes provides no answers." Actually, Pipes did provide answers. He collected and published many numbers at "How Many Islamists?" a weblog entry initiated in May 2005. First, though, an explanation of what I meant by Muslims who "support militant Islam": these are Islamists, individuals who seek a totalistic, worldwide application of Islamic law, the Shari‘a. In particular, they seek to build an Islamic state in Turkey, replace Israel with an Islamic state and the U.S. constitution with the Koran. As with any attitudinal estimate, however, several factors impede approximating the percentage of Islamists. How much fervor: Gallup polled over 50,000 Muslims across 10 countries and found that, if one defines radicals as those who deemed the 9/11 attacks "completely justified," their number constitutes about 7 percent of the total population. But if one includes Muslims who considered the attacks "largely justified," their ranks jump to 13.5 percent. Adding those who deemed the attacks "somewhat justified" boosts the number of radicals to 36.6 percent. Which figure should one adopt? Gauge voter intentions: Elections measure Islamist sentiment untidily, for Islamist parties erratically win support from non-Islamists. Thus, Turkey's Justice and Development Party (AKP) won 47 percent in 2007 elections, 34 percent of the vote in 2002 elections, and its precursor, the Virtue Party, won just 15 percent in 1999. The Islamic Movement's northern faction won 75 percent of the vote in the Israeli Arab city of Umm el-Fahm in 2003 elections while Hamas, the Palestinian terrorist organization, won 44 percent of the vote in the Palestinian Authority in 2006. Which number does one select? What to measure: Many polls measure attitudes other than the application of Islamic law. Gallup looks at support for 9/11. The Pew Global Attitudes Project assesses support for suicide bombing. Nawaf Obaid, a Saudi security specialist, focuses on pro-Osama bin Laden views. Germany's domestic security agency, the Verfassungsschutz, counts membership in Islamist organizations. Margaret Nydell of Georgetown University calculates "Islamists who resort to violence." Inexplicably varying results: A University of Jordan survey revealed that large majorities of Jordanians, Palestinians, and Egyptians wish the Shari‘a to be the only source of Islamic law – but only one-third of Syrians. Indonesian survey and election results led R. William Liddle and Saiful Mujani in 2003 to conclude that the number of Islamists "is no more than 15 percent of the total Indonesian Muslim population." In contrast, a 2008 survey of 8,000 Indonesian Muslims by Roy Morgan Research found 40 percent of Indonesians favoring hadd criminal punishments (such as cutting off the hands of thieves) and 52 per cent favoring some form of Islamic legal code. 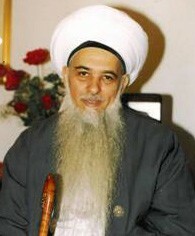 The Islamic Supreme Council of America's Hisham Kabbani says 5-10 percent of American Muslims are extremists. Given these complications, it is not surprising that estimates vary considerably. On the one hand, the Islamic Supreme Council of America's Hisham Kabbani says 5 to 10 percent of American Muslims are extremists and Daniel Yankelovich, a pollster, finds that "the hate-America Islamist fundamentalists … averages about 10 percent of all Muslims." On the other, reviewing ten surveys of British Muslim opinion, I concluded that "more than half of British Muslims want Islamic law and 5 percent endorse violence to achieve that end." These ambiguous and contradictory percentages lead to no clear, specific count of Islamists. Out of a quantitative mish-mash, I suggested just three days after 9/11 that some 10-15 percent of Muslims are determined Islamists. Subsequent evidence generally confirmed that estimate and suggested, if anything, that the actual numbers might be higher. Negatively, 10-15 percent suggests that Islamists number about 150 million out of a billion plus Muslims – more than all the fascists and communists who ever lived. Positively, it implies that most Muslims can be swayed against Islamist totalitarianism. An Islamist is someone who wants the state to be ruled by Islamic law and by leaders committed to its thoroughgoing implementation. An Islamist holds such ideas, is active in revolutionary movements to bring them about, and votes for Islamist parties. He adds that "Islamist parties may participate in elections at times, not engage in violence for a while, or pretend to accept democracy, but their goals are still revolutionary and they are quick to abandon such tactics if they deem that course more likely to abvance their cause. Using moderate rhetoric to fool foreigners or avoiding radical methods because they are intimidated by the regime's power or repression does not make them moderate." It's a good start. Clearly, this is an important topic that requires much careful thought. Related Topics: Public opinion polls, Radical Islam | Daniel Pipes receive the latest by email: subscribe to the free mef mailing list This text may be reposted or forwarded so long as it is presented as an integral whole with complete and accurate information provided about its author, date, place of publication, and original URL.